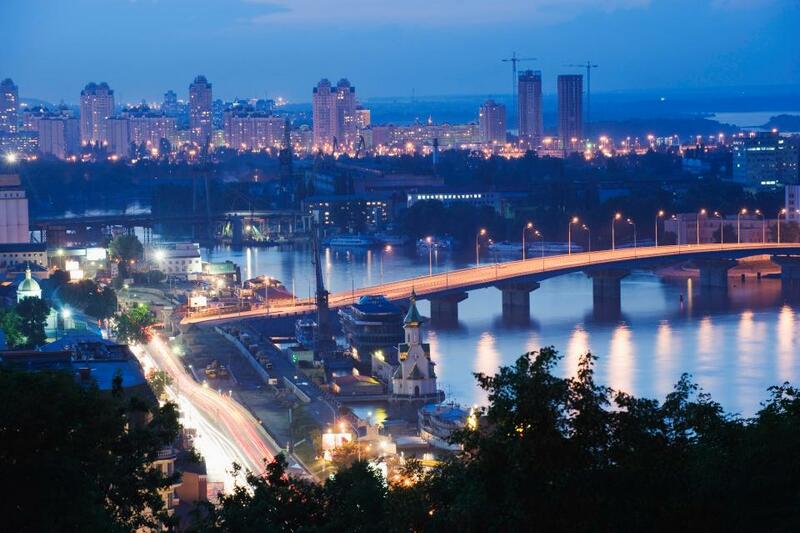 This weekend the spotlight is being cast on Ukrainian city of Kiev, thanks to their hosting of the 2017 Eurovision finals. The capital, which has long been a favourite with stag do’s thanks to its bargain prices, has suffered in recent years as a result of a four-year conflict with Russia but many consider it to be one of the best kept secrets in city break travel. While the troubles have put many tourists off, the government considers most parts of the Ukraine, including Kiev, safe to travel to. The only areas of the Ukraine that the Foreign Office advise against travel to are Crimea and the ‘highly unstable’ Donetsk oblast and Luhansk oblast in the east of the country, with ongoing clashes between Ukrainian armed forces and Russian-backed armed separatists. But there is a large distance between these areas and the capital city. If anything, the troubles have almost made the city more attractive to certain tourists, with the local currency plummeting in recent years, making it a bargain break. Last year’s GoPro Beer Price Index placed the average price for a beer at £1.15, and in some places it can still be bought for as little as 50p. A three-course meal at a mid-range restaurant will cost around £15.26, with typical Ukrainian food consisting of simple but heavy dishes that stem from peasant cuisine, featuring ingredients like potatoes, cabbage, mushrooms and cheese. One of the most popular meals is borshch – a thick and sour soup with a beetroot base that resembles a stew. Meanwhile, three-star hotel rooms can be found for as little as £15 a night and hostel beds from just £3 a night. For those looking for a bit of culture, the city’s eclectic architecture is worth the visit alone. The striking Soviet Era communist buildings sit side by side with baroque buildings and golden dome churches. Museums of interest to foreign visitors include the Chernobyl museum, which documents the catastrophic nuclear accident in April 1986 at the Chernobyl Nuclear Power Plant near Pripyat, and costs under £2 to enter. Or alternatively, buy a ticket to one of the many tours that leave from the city every day and head into the abandoned nuclear complex and nearby ghost-like town. History buffs will also enjoy a visit to St. Michael’s Cathedral, reconstructed in May 2000 in the model of the 800-year-old original St. Michael’s Cathedral, which was destroyed by the Soviet regime in the 1930’s for having “no historical value”. The cathedral is an interesting place for tourists to find out more about Ukraine’s history with Russia during the Soviet Era. For something more laid back, head to one of the islands along the city’s Dnipro River, where you can sunbathe on the beaches and buy cheap food and drink. There is an equally varied nightlife on offer for visitors, ranging from the restaurants where meals cost from £5, to the nightclubs and bars where a cocktail will set you back around £3. Be prepared to look good though – according to the website Vist Kiev Ukraine, many of the Ukrainian nightclubs operate something called ‘face control’ where they allow entry based on how attractive you are. Think dress code, but even tougher to navigate. Getting to the city is very easy from the UK, with cheap flights with airlines including British Airways, Ukraine International Airways and Whizz Air. 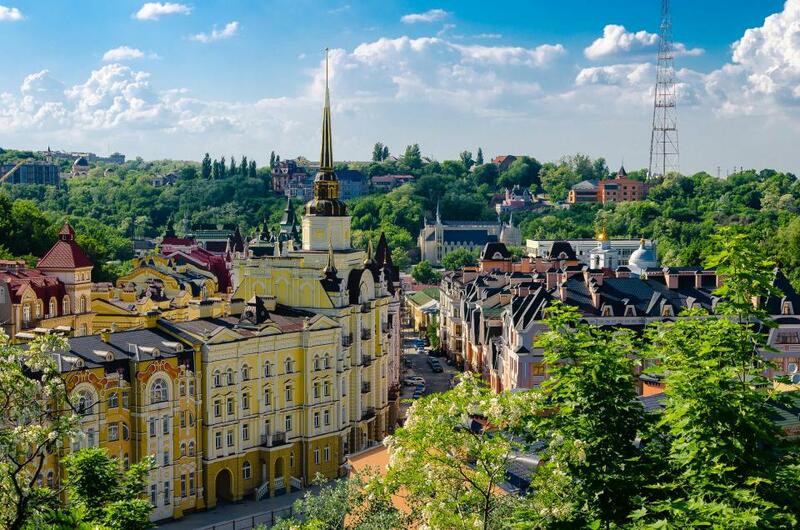 Ryanair has also launched its first Ukraine flights, with four new routes from Kiev to London Stansted, Manchester, Eindhoven and Stockholm starting from October. A true view of a foreigner. Good article!